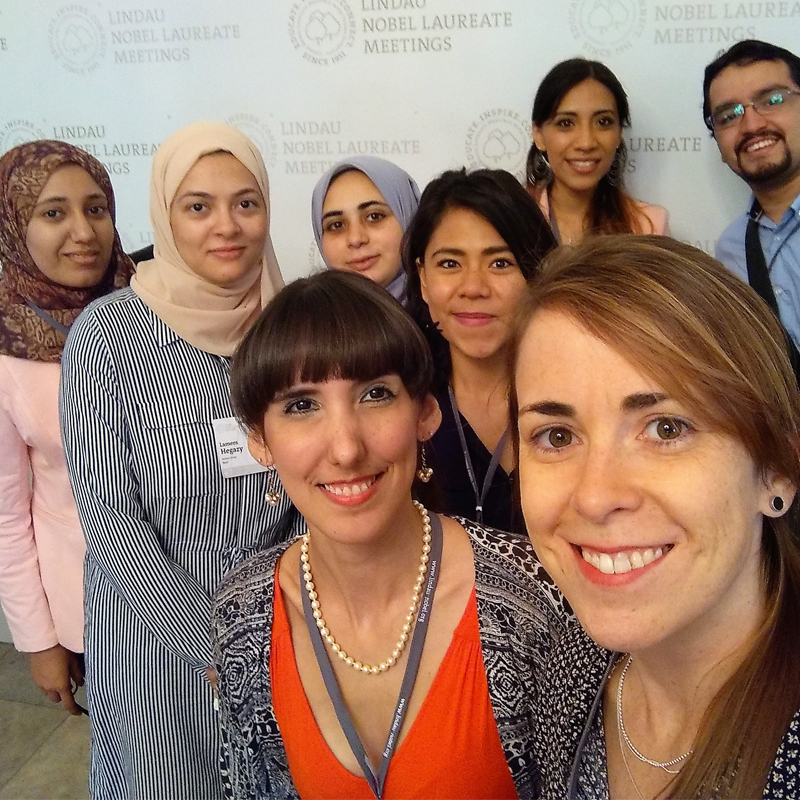 Over the last two months I have interviewed several young scientists who participated in #LiNo17 for my “Women in Research” blog – a blog to increase the visibility of women in research. Now after the meeting I contacted them again and they shared their #LiNo17 highlights and impressions with me. Enjoy! As I sat through each of the Nobel Laureate’s talks, I found that there was a common thread among each of their stories and lessons: persistence, tenacity, creativity and enthusiasm are key ingredients to success. With or without the Nobel Prize, each of these individuals persevered through challenges and remained curious about science; it was with a bit of luck and an immense amount of hard work that these scientists were able to achieve great discoveries and earn the Nobel Prize. Their stories have resonated with me and inspired me to never give up and to never lose sight of why I pursue science: to better understand the world. 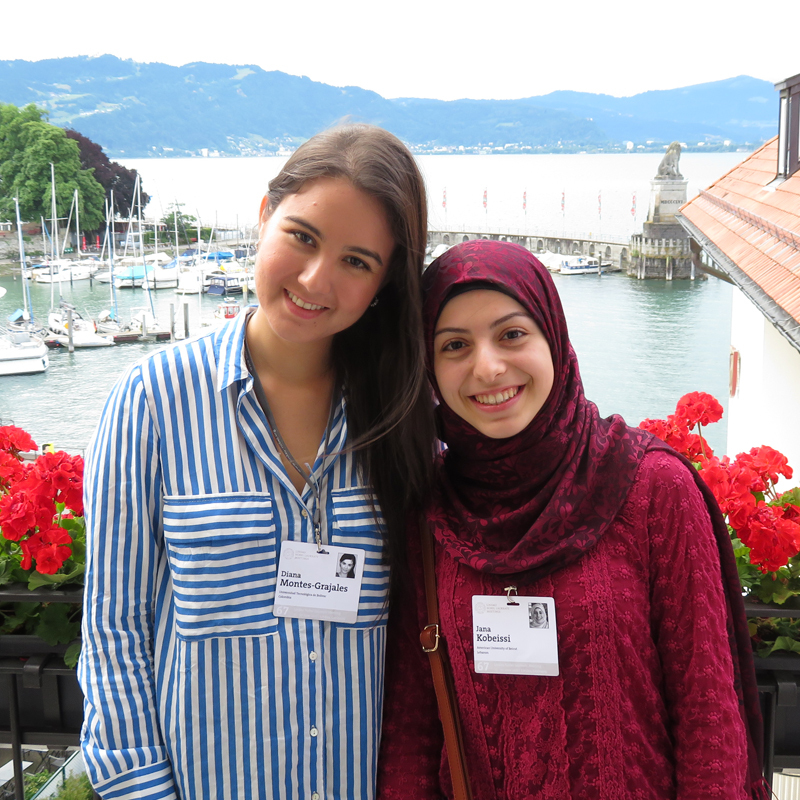 The Lindau Meeting was a unifying and inspiring experience. The chance to meet these great scientists in person allowed me to better understand and appreciate them not just as Nobel Prize winners but as people who have overcome many of the same obstacles we all face in science every day. They have shone a light on both scientific and political issues facing our world, and have addressed the many personal hurdles they have overcome throughout their careers. Along with meeting these inspiring scientists, I am so grateful for the many friendships I have made with students from all around the world. On the final day of the trip, we travelled to Mainau Island and back. On our way back, students from all around the world joined together for an afternoon of dancing and celebrating. This experience was clear evidence of the great friendships and bonds we had built on our trip. Students from all around the world connected over science, food and dancing, and I will always deeply treasure those friendships I made. This experience has made a profound impact on me and on my outlook on science and research. I think it’s incredibly important that young scientists — and in particular women and underrepresented minorities in science — have the opportunity to be involved in such an inspiring event. For me, the Lindau Meeting was a very special meeting. Here, we did not discuss any particular research field in detail, as is typically done at scientific conferences. Instead, we discussed the global issues we face in science – ranging from climate change, green chemistry, carbon dioxide recycling and renewable energies to personalised medicine, antibiotic resistance and many other globally relevant topics, as well as science careers. The broad diversity of research topics introduced in the lectures of the Nobel Laureates gave the input for these “big picture” discussions, and I was impressed by the motivation and passion most of the laureates still show after many decades of doing research. 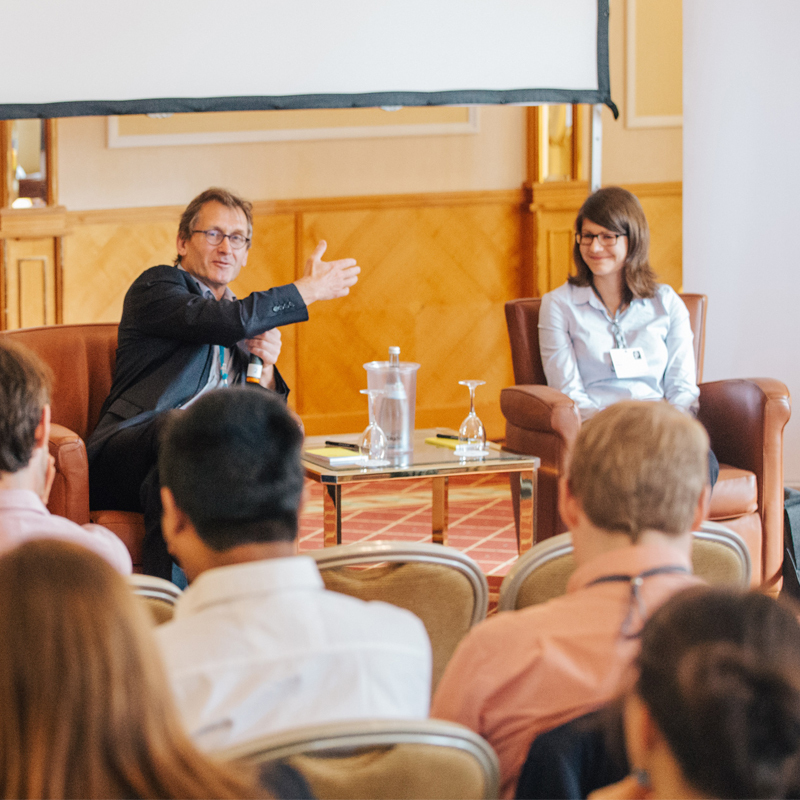 I particularly enjoyed connecting with the other young scientists, and I became aware of many interesting research fields and opportunities for potential future collaborations and career steps. 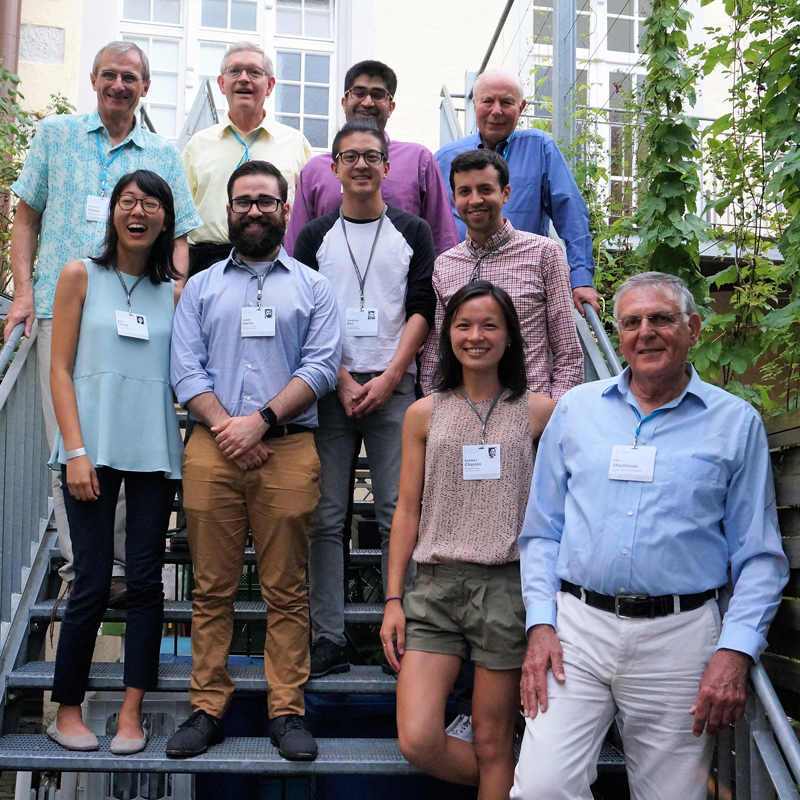 I think participating in the Lindau Meeting is an excellent opportunity for getting inspired and connecting to scientists all over the world. No words can describe the week at the Lindau Meeting. Well, maybe there is one that keeps sounding in my head: inspired. I feel highly inspired after my week at Lindau. 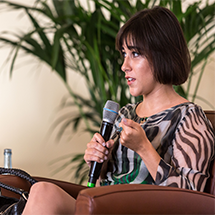 The young scientists and the Nobel Laureates have inspired me in so many ways to pursue my career goals. 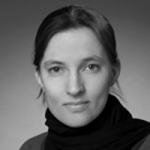 I attended as an undergraduate student, looking for – among other things – fields where to focus my graduate studies. I have found it, and I have found so many people willing to give me advice about it. It was the most unforgettable week. I am impressed by how approachable the Nobel Laureates were. They have shown to be incredibly humble even though they were awarded the most relevant prize in science. They were always happy to answer my questions and to give me advice for my career. I am happy that I had the opportunity to share a week with people who have the same interests as me. I made friends from all around the world who taught me about their culture and were always open to discuss current issues taking advantage of our own different perspectives. I feel so fortunate that I had the chance to experience the Lindau Nobel Laureate Meeting and I encourage every young scientist to attend it. It will give you a broader perspective of your career and it will give you the unique chance to be surrounded by the best of science. The Lindau Nobel Laureate Meeting is extraordinary; it is designed to share the experience and knowledge of the greatest leaders in science, the Nobel Laureates, with the next generation of scientists to encourage us to work hard for the benefit of the world and society. We live in convulsed times in terms of environmental depletion, violence and diseases; and we young scientist are called to help to address all these issues and pursue for a better world. When I applied for this event, I was a young researcher at Universidad Tecnólogica de Bolívar, in Cartagena-Colombia, and I never imagined to be accepted because I thought I was in the periphery of the world, but this is really an international meeting; this year, there were people from more than 70 countries with whom you have the opportunity to talk and plan collaborative work. The organisation and structure of the meeting is great: each of us had a personalised agenda, we had lectures, panel discussions and small group discussions with the Nobel Laureates from key topics in science to life experiences as well as many social activities in which you have the opportunity to interact with both Nobel Laureates and young researchers. Highlights of the 67th Lindau Nobel Laureate Meeting in Chemistry were: the importance of developing environmental friendly technologies, working with green chemistry and facing the climate change problem as well as to link society to science, in terms of divulgation and pertinence of the research. There are also specific soft skills to pay attention to in science such as perseverance, passion and ethics. This is a unique experience, I hope you will apply and be the next young researcher in a Lindau Nobel Laureate Meeting! Participating in the Lindau Meeting was certainly a great experience in many ways. First, it was truly inspiring to listen to and talk to the Nobel Laureates. They generously shared their exceptional research as well as their life experiences and advice for us young scientists, and I feel really fortunate that I was given the opportunity to partake in this event. The academic dinner was great, with only a few students we got a lot of time to talk to some of the laureates and this was such a memorable night. 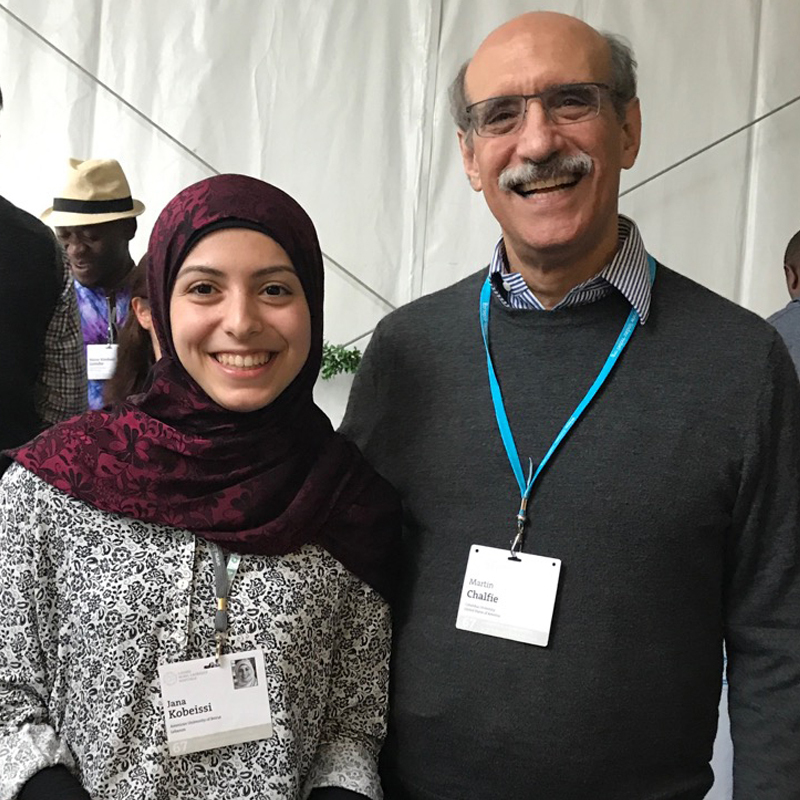 What I had not expected before attending the Lindau Meeting was the impact that meeting the fellow young scientist would have on me. I was so inspired talking to young scientists from all over the world, all of whom shared the same drive, ambition and passion for science. All these warm, friendly, motivated and interested people created a unique and engaging atmosphere in Lindau, and that together with a great organisation made the meeting so exceptional. I had high expectations before the meeting, yet, they were surpassed. I would encourage every young scientist to use the opportunity to participate in future meetings, it really is a once in a lifetime experience. 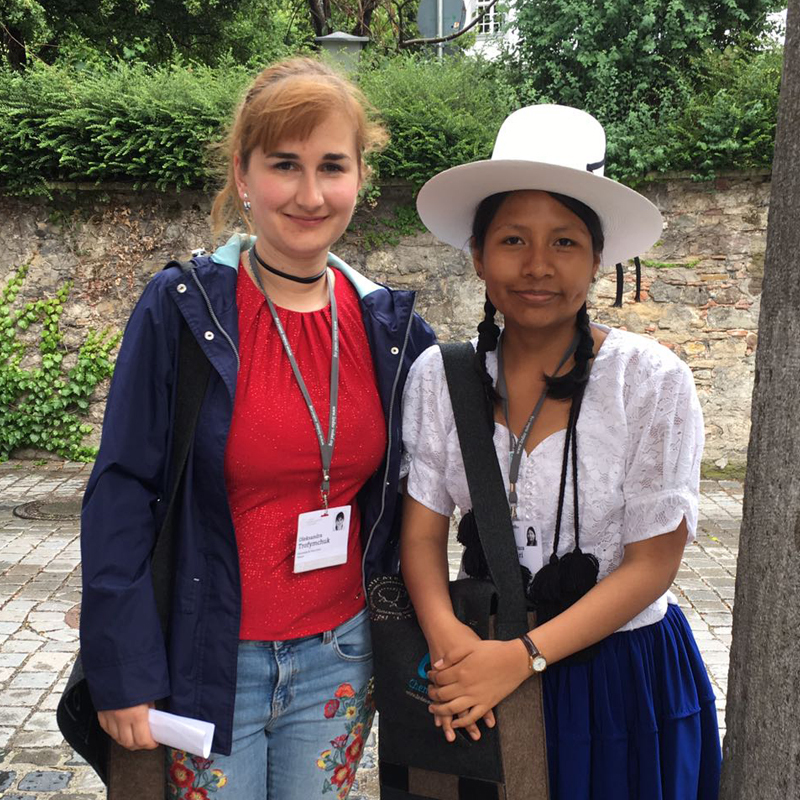 Especially young female scientist, go to Lindau and meet with other likeminded women like yourselves, with the same ambitions and future goals, it is such an inspiring event and maybe you will end up making some friends for life. 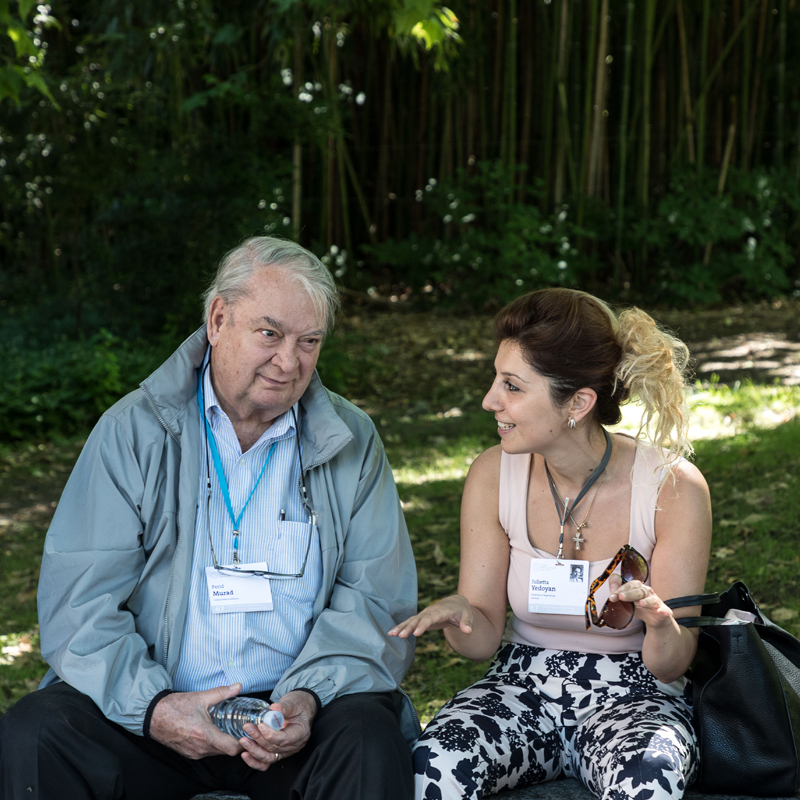 The Lindau meeting has been a long standing intellectual legacy and an opportunity to interact with young scientists from more than 70 countries. This whole week has reinforced my scientific focus and increased my emphasis in social issues. It gave me the most rewarding experience in my personal life. Nobel Laureates gave me advices to grow intellectually and personally. Running risks in scientific life. The diversity of this meeting has opened me the chance not only to exchange scientific topics of our own research, but it also has allowed me to switch from mine to other fields. I was fascinated to get to know more about the Nobel Laureates since I was a child. Unfortunately, in South American countries the chances to meet Nobel Laureates closely are unusual or a matter of luck. Last year, I have heard about eight women who participated in the previous event and it changed my life since then. Now, I cannot believe I belong to that select group of women who have taken part in this meeting. I invite every young scientist around the world to become part of this networking, creating links of scientific cooperation projects. I am pretty sure this event will give your life a 180 degree turn. It is a marathon week of interacting, discussion events with young scientists and laureates which believe it or not, could be extended until midnight. I reiterate my invitation, and don’t hesitate or tell yourself you don’t feel up to this event. Just apply and give yourself a chance to experiment a transcendental meeting which is waiting for you. Before coming to Lindau, I had the silly idea that I was attending a fancy conference and Nobel Laureates were some kind of celebrities that everyone would like to take pictures with. The Lindau Meeting couldn’t have been farther from that. Nobel Laureates not only have enlightened me with their bright ideas but also have touched my heart by revealing their most human side. Every time they showed pictures of themselves as young scientists at the end of their lectures, or talked about being rejected or not having enough money or even of having few time to share with their families and friends, I couldn’t help seeing myself. It was then when I got to understand that they came to tell us that we all are the same, that we all walk in the same direction if we are passionate, if we never give up, if we become experts in what we really like and if we continue in this path even after reaching the top of our careers. 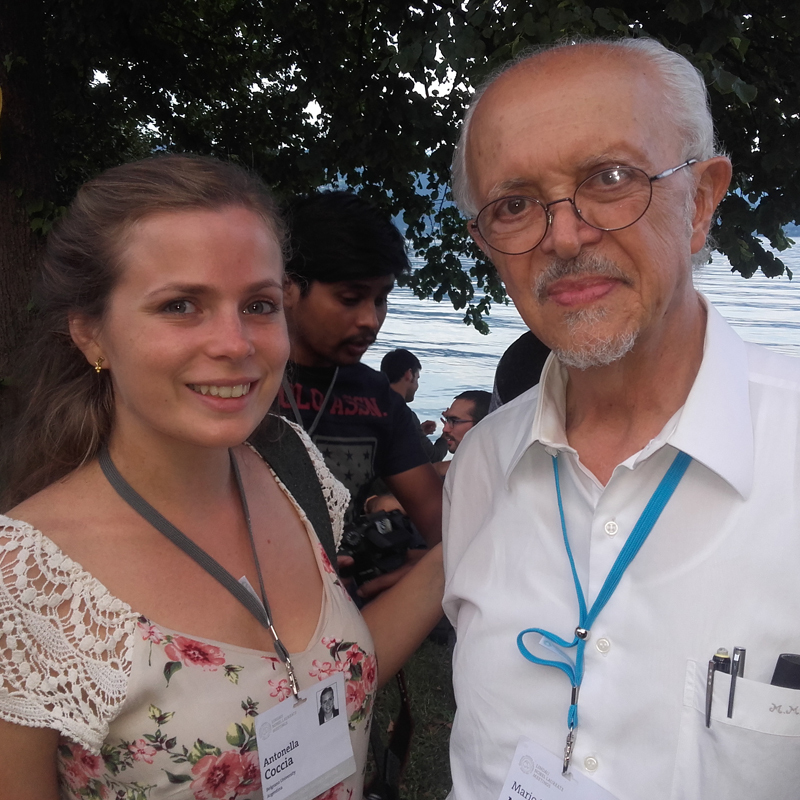 But close exchange with Nobel Laureates has not been the only amazing experience I have had in Lindau. Sharing one entire week surrounded by young scientist from all over the world and learning that even coming from such different places and cultures we all have similar curiosities, same questions, same difficulties and that we are worried about the same issues, gave me enormous hope and gratitude, as it showed me that science connects us beyond borders and languages, because science is a language itself. On Saturday at the registration, we were complete strangers to each other. But one week after that, when we left the boat at the end of the meeting, we all felt the power of the wind starting to blow. Something had changed us. We were physically exhausted, mentally blank, emotionally overwhelmed but with the eyes full of pictures and the heart full of hope. We connected, we felt each other. 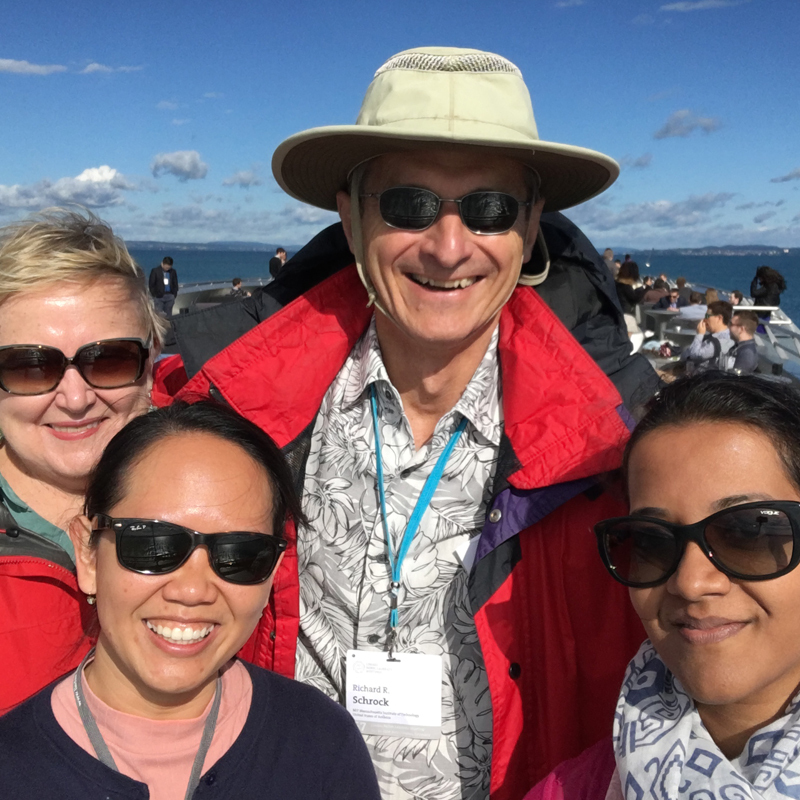 I am sure that none of us wanted to leave Lindau, but I also think that it was the right time to do it, as we were taking with us the Lindau legacy. Don’t stay locked in the lab, share, connect. Have political awareness as well as social and environmental commitment. Be as persistent as passionate. Don’t feel guilty, feel responsible. Take action, there is plenty of work to do at home. And enjoy science because, as Nobel Laureate Peter Agre said to me, “Science is an amazing trip you will never know where is going to take you”. 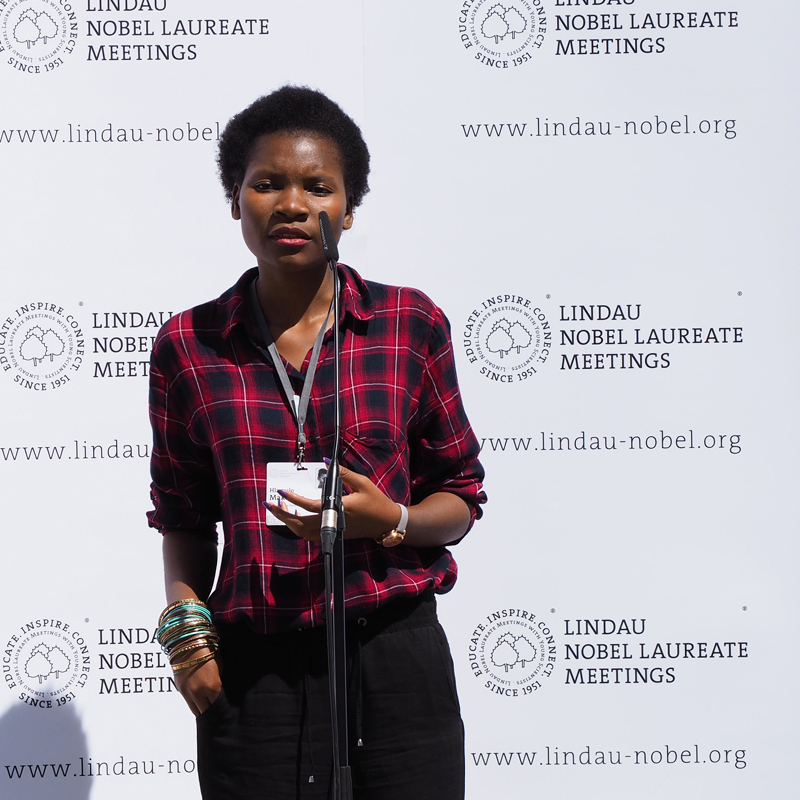 I really enjoyed my experience at the 67th Lindau Nobel Laureate Meeting. It was an amazing conference, in every aspect. First, the fantastic lectures given by the Nobel Laureates and the discussions that followed, where we were really able to get to know them on a personal level and hear about their life experiences as well as getting good advice from them for our careers. Second, the great networking and willingness to discuss science and get to know young scientists from all over the world was really a wonderful idea, and was truly felt everyday throughout the meeting. Third, the fun dinners and sponsored activities that were held throughout the conference certainly added so much to the whole event, including the panels that were held, which indeed were eye-opening. I feel that if a student or postdoc gets the opportunity to apply and go to the meeting they should do it. I have gained so much knowledge and new friends as well as potential colleagues from this conference, and I feel like a whole new world has opened up to me. Don’t miss out on this chance to benefit from getting to know the most amazing scientists and people from around the world, as well as see the beautiful city of Lindau which has been the home of the conference since it was first established. The 67th Lindau Nobel Laureate Meeting was a great opportunity that I will treasure forever in my career path. 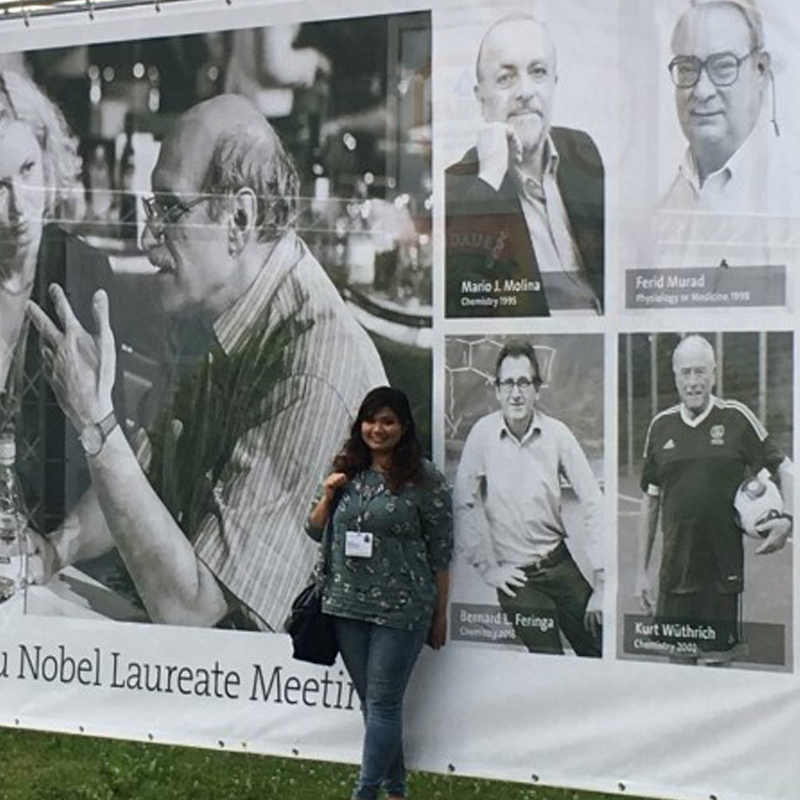 The Nobel Laureates’ talks, discussion sessions and panels were very informative, interesting, inspiring, and motivated me to continue with my research in sciences. Meeting young scientists from around the world working in different areas of chemistry was amazing. It has broadened my knowledge in the field and made me think about how we can integrate our research through collaboration and explore more ideas that we could apply to our research problems, or ways we could build something together that can be applicable to societal issues. I was not only inspired by the research of young scientists, I also found it exciting to meet people from different countries and cultural backgrounds because in this one week I learned a lot from different parts of the world and I had the pleasure to talk about life itself, not only science. I have made many new friends during the meeting and I would like to keep the network going by staying in touch with them. I did know that the meeting will host young scientists from about 70 countries and around 30 Nobel Laureates; however, being there and experiencing it, I felt like I was surrounded with people who see greatness in one another even when we didn’t see it in ourselves. I was humbled by the opportunity given to me to make closing remarks representing the young scientist at the closing of the 67th Lindau Meeting. This meeting has been truly a wonderful experience for me professionally and personally. In conclusion, I was impressed by an equal number of women participating in the meeting, and I will strongly encourage other young scientists, especially women, to look forward to this career- and life-changing meeting and apply to participate. 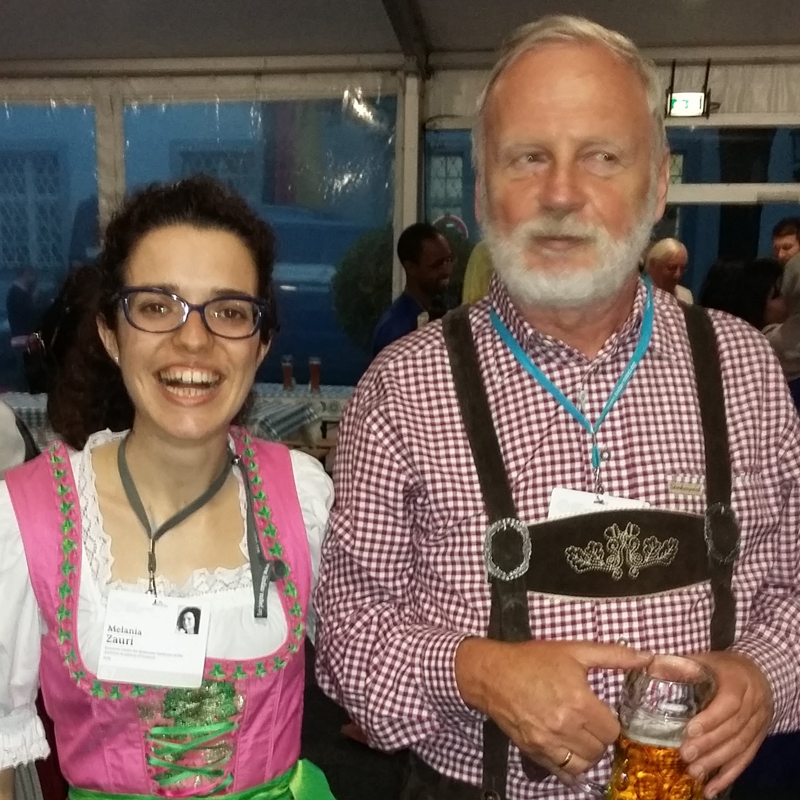 The 67th Lindau Nobel Laureate Meeting had everything that a scientist could ever wish for. 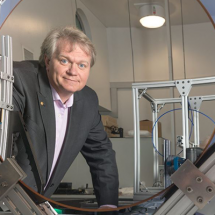 Over a course of a few days, you get to attend lectures by and afternoon discussions with the Nobel Laureates themselves, and if you’re lucky enough, you can even share a table with one of them for dinner. The laureates not only discussed science, but also exposed their life experiences leading up to and after winning the Nobel Prize. They emphasised that even they made their own mistakes – had their own ups and downs – but they did not give up. Rather, they pursued projects even if the topics were not “hot” at that moment or even if others did not “believe” in their work. In short, they give you hope and inspiration. You’d even feel the urge to go to the lab RIGHT NOW and carry out experiments. Furthermore, ever since day one, you are surrounded by enthusiastic – and extremely friendly – young scientists who are just as passionate about science as you are. You meet others from very different cultural and ethnic backgrounds, with whom you click right away, and as you converse with them and get to know more about their research, you realise just how international science is. The diversity of the participants sharply contrasts with the singularity of the main issue at hand: science! I urge all scientists to apply to the Lindau Meetings, regardless of age. I am an undergraduate student, myself, and I found the meeting to be tremendously valuable: Now, I am connected with other undergraduates, PhD students, Post Docs, and even an assistant professor from all over the world. I was also fortunate to get worthwhile advice from some laureates regarding my future career in science. Getting this exposure early on, I believe, is very important. Finally, all of the above took place in one of the most beautiful and peaceful areas I have ever seen. All in all, the Lindau experience is perfect! I heard I lot of great opinions about the Lindau Meeting from different sources, although I would have never imagined that nowadays there exists such a perfectly organised meeting, which brings together so many inspired and motivated people from all over the world to share their ideas and experience. It is an incredibly amazing and unique meeting where the young generation gets a chance to meet Nobel Laureates from different disciplines, getting involved in discussions about research and science in general as well as personal experience of the success which changed the world for the benefit of mankind. Before participating in the Lindau Meeting, I was not sure about the decision to stay in the science, being aware of all the obstacles that I should overcome in the future to establish myself as a scientist, and I was looking for some opportunities in industry, which is not an easy path either but a more or less stable field. However, during the discussion with some Nobel Laureates I got so impressed and inspired by their personalities and their research that I made the decision to totally change my plans about my future and to stay in science. I think being a scientist it is a vocation, it is not an easy path, but well respected. Moreover, the facts that your research can be important and that it can one day change the world to the better motivate me to sacrifice and struggle for the benefit of mankind. Beside all the Nobel Laureates, I should mention the nice expression of all smart and well educated young people that I had a chance to meet; hopefully, to meet them again in the future and possibly cooperate and collaborate by sharing and exchanging ideas. Special thank you to DAAD for my scholarship and for this great opportunity as well the whole Lindau staff for their very polite, thoughtful and super nice job! What I did on Friday 30th of June 2017, also my 30th Birthday? I woke up very early to walk to the harbour of Lindau, where a three-story boat was awaiting me, and 419 other young scientists. 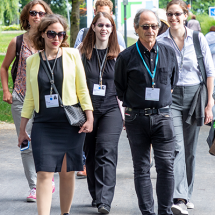 We set off to pick up 28 Nobel Laureates before continuing our trip to Mainau Island, which traditionally hosts the closing sessions of the Lindau Nobel Laureates Meetings. As I had been invited to be a panellist in the final discussion on ‘Ethics in Science’, I was slightly nervous. I was seated between laureate Martin Chalfie, and young scientist Michael Lerch, and I had the time of my life, answering questions in this amazing setting, and company. And this was just the end of what became an amazing week, rising well beyond my expectations. Since that Monday, we had all been educated and inspired by the talks and discussion sessions with the laureates; we had truly connected with them, and with each other. Personal highlights were my short talk in Aaron Ciechanover’s Master class, the very kind interactions with Peter Agre and John Walker, but also the many inspiring conversations with fellow young scientists. Such a unique opportunity, such an inspiring event, and a 30th Birthday I – without doubt – will never forget. Lindau (#LiNo17 for the twitter fans) was an extraordinary and unforgettable experience. I had the opportunity to meet the brilliant minds that shaped most of the science that I learned from the textbooks and to do so in a super informal and friendly environment. Moreover, there were about 70 nationalities and I felt that science provided us with a unified message for the society: facts have to come from good science and politics has to come afterwards. There was only one female laureate and she behaved marvellously showing that what matters is not your gender, but the passion and the curiosity that you can put in what you do. If you have those there will be no barriers to hold you back. I admired the humble attitude of the laureates – great people that in some cases made me cry. For example, Prof. Agre with his family history and the oil pump of his town showing a message of congratulations for the award of his prize, which, as he commented, usually shows only beer advertisements. I appreciated the energy of all of them and the willingness to engage in dialogue with the young scientists. Almost everybody displayed a slide in their presentations with advices for young scientists. The Lindau team was just amazing and for everything you needed they were there with an answer. I would recommend this meeting definitely to everybody who is willing to play the game, to share his/her experience and to get a power charge for the next decades. I think whenever I will think at those moments I will judge them as worth every second and thinking that if these people, despite their old age and their busy schedule came to Lindau for us, my energy and enthusiasm as a young scientist should be enough for the next decades. The 67th Lindau Nobel Meeting dedicated to chemistry was a week full of joy, knowledge, motivation, experiences, and inspiring people. Every professor shared their experience of being a Nobel Laureate and they guided the young scientist “how they can become a Nobel Laureate in future”. 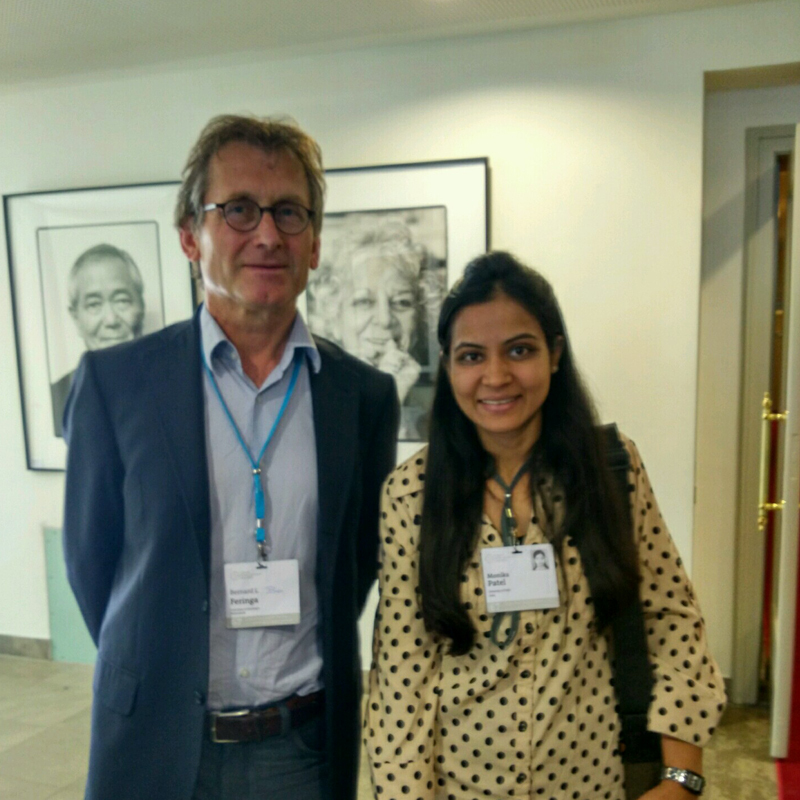 It was great to receive tips from Prof. Bernard L. Feringa on being creative: think beyond someone’s imagination, and never give up. However, there is no substitution for hard work. Prof. Richard R. Schrock was one of the coolest Nobel Laureates, who shared his positive attitude towards life and finding balance in the different phases of your life. In addition, the meeting comprised several informal events such as the International Get-Together hosted by Mexico at the Dornier Museum, Friedrichshafen, cultural diversity at the Bavarian Evening and a boat trip along with a Science Picnic to the flower island Mainau. These events gave a platform for personal discussions with the laureates and other young scientists from different parts of the world. 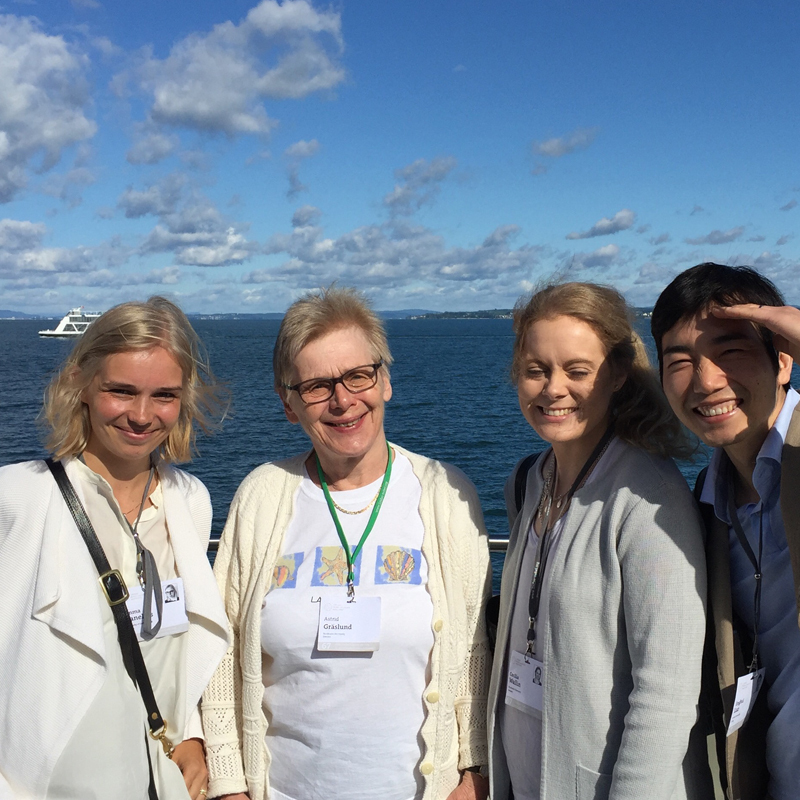 But the Lindau Nobel Laureate Meeting was not only academically oriented, it was also a great platform to network with people from all across world. Events like these are really inspiring and give you energy to achieve your goals. It’s one of the rarest opportunities that one can get in his/her carrier. Therefore, I strongly recommend other scientists to be part of this meeting and to fulfil your dreams. Do you still remember how your first day of school went? Only this time, instead of teachers and new first-graders, the class was filled with the most brilliant people in the world and classmates that are so enthusiastic, you feel like the smallest person in the world. That was how I felt at the beginning of the 67th Lindau Nobel Laureate Meeting. However, as I attended more and more sessions, my opinion started to change. Don’t get me wrong, the Nobel Laureates are indeed wonderfully brilliant and the other young scientists are just pleasant to be around. But through the different sessions carried out, I realised a very prevalent common thing among all of us: the thirst for knowledge. Although my level is nowhere near theirs, through their really interesting lectures, it was so fascinating to see how passionate they are in their own fields. I was thoroughly surprised that I enjoyed and understood the lectures that were quite unrelated to my research, such as cells, enzymes and diseases. Many of the laureates were really funny and I especially love how they tried different approaches to make their talk more relatable to us young scientists. If I had to pick a favourite part, it would definitely be the afternoon sessions. During these sessions, not only were we allowed to ask questions to the Nobel Laureates of our choice, we were also able to get up close to them, hearing about their life experiences and journeys that led them to where they are now. While I am still in awe of them, we realised that they are also humans like us. These sessions managed to give me a new drive so that I am more motivated than ever to try my very best in my research. So after these six wonderful days on the beautiful island of Lindau, did I get any smarter? Most probably not, although I really hope I did. Have I successfully predicted the next big thing in the world of science? Unfortunately, not yet. However, now I know for sure that I am one step closer to all that. Through this meeting, I found a renewed motivation for my research and I am more passionate than ever to continue exploring science. The other important thing that I came to realise is each and every one who identifies themselves as scientists is part of a very large community, through which we foster the exchange of knowledge. 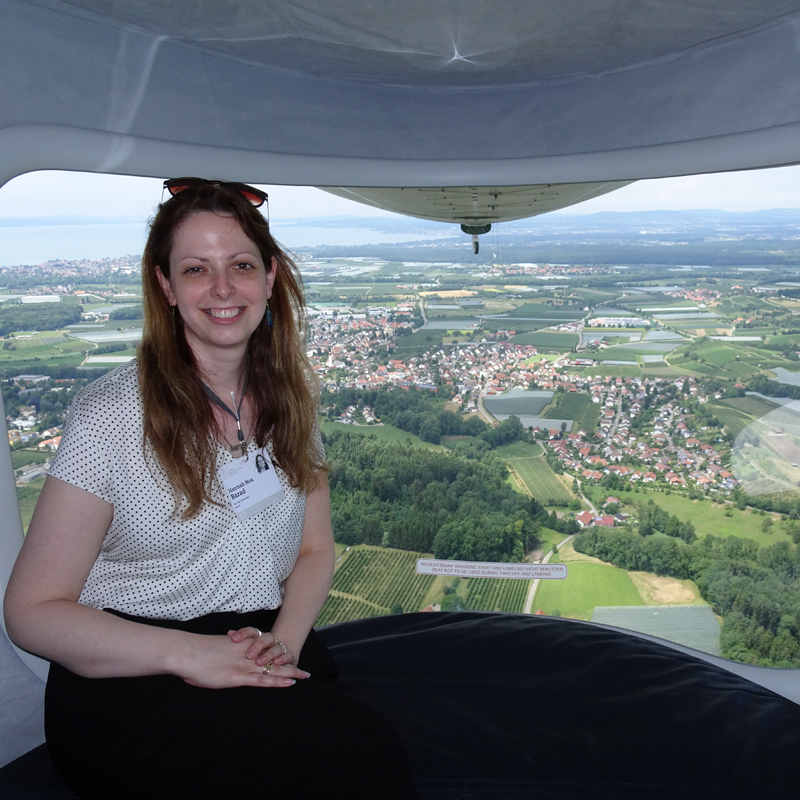 Hopefully one day I will return to Lindau again – this time as a Nobel Laureate perhaps. Well, a woman can only dream! The Lindau Nobel Laureate Meeting was incredible. More than one week after and I still cannot believe I had the opportunity to attend it. During the meeting, I met the most amazing group of people — the laureates, their spouses, young scientists and the organisers of the meeting. I was intimidated at first by the laureates and was afraid of making a fool out of myself. But after talking to them, I realised that there was nothing to be intimidated by because the laureates were there to talk to young scientists like myself to spread ideas and to inspire the next generation of scientists. During the meeting, social issues such as climate change and the current political climate came up quite often; I was extremely privileged to have heard in person the laureates’ opinions. In addition to discussing sciences and social issues with the laureates, I enjoyed talking with their spouses about their backstory. I tend to think of Nobel Laureates as super humans so having learned about their struggles, both in their scientific work and in their lives, I was put in perspective. I especially enjoyed meeting and making new friends from all around the world. I learned so much about research activities and research culture in different countries. One thing I really loved was every time I met a new young scientist, he/she would often say “I’m from here but I’m doing research there.” That was proof that science knows no boundaries and knowledge cannot be stopped at borders. 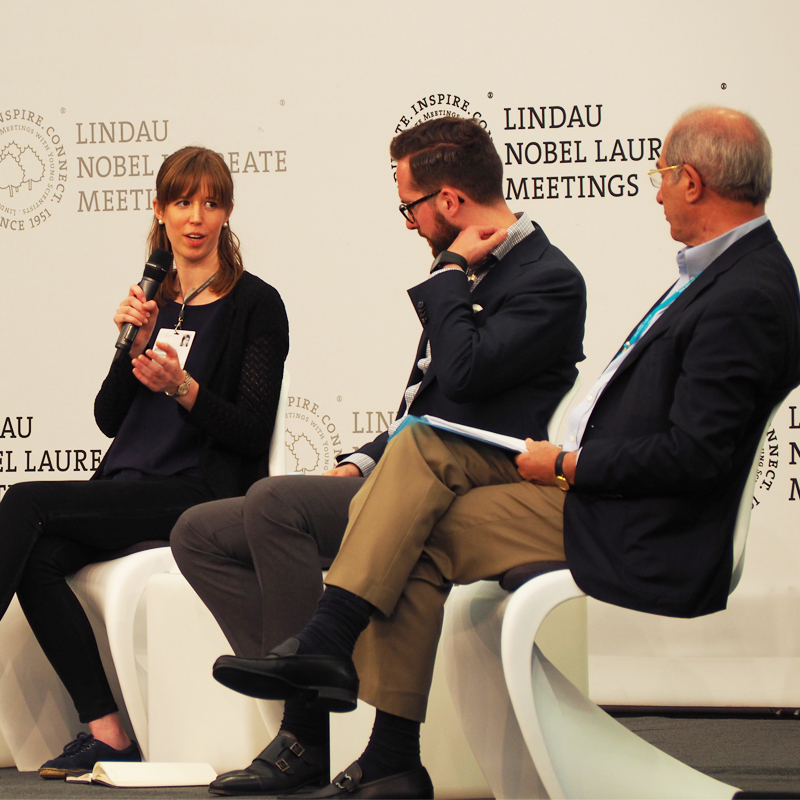 If given the chance to, every young scientist should participate in a Lindau Nobel Laureate Meeting. The meeting truly is eye-opening and inspiring, in addition to being held on the beautiful island of Lindau.